Periodontal treat ment is the treatment of active gum and jaw bone disease. 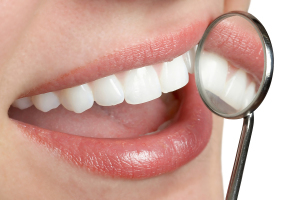 Periodontal treatment can slow, stop, or even reverse gum disease. Since there are different stages of gum disease (from gingivitis to advanced periodontitis), there are different levels of treatment. Dr. Jessy Sidhu and his Team at Dentist Solana Beach specialize in non-surgical laser assisted periodontal therapy which is highly effective for early to moderate periodontal problems. By utilizing a soft tissue laser along with traditional treatment methods, the diseased soft tissue lining from the gum pocket and deposits along root surfaces can be removed and bacteria eliminated. Soft tissue lasers are used by Dr. Jessy Sidhu and his team in our Solana Beach dental office to aid in periodontal (gum) therapy by eliminating bacteria from the gum pockets. We can also treat many other conditions with our soft tissue lasers including painful sores of the mouth or lips and promote healing.